We watched Lee Sung-gi’s show Producer 48 and were charmed with all the young contestants trying to make their dreams come true, so we will be covering it at least until My ID is Gangnam Beauty comes out. 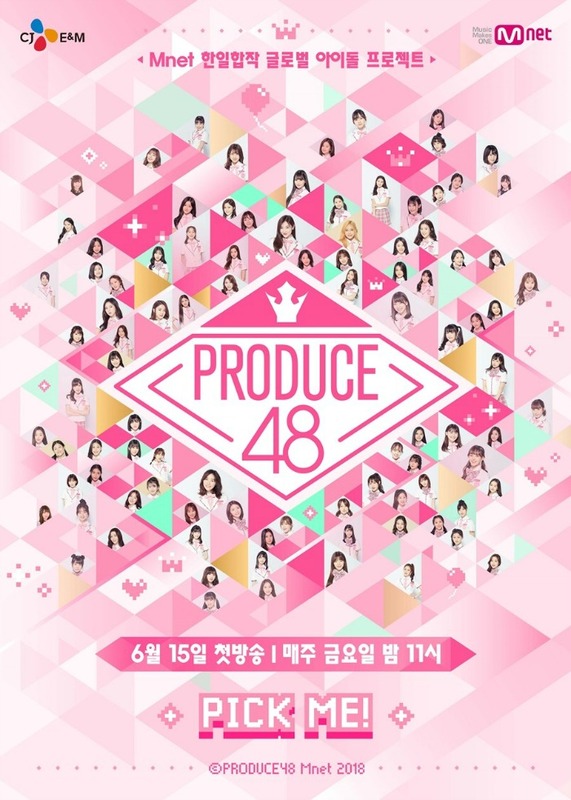 Producer 48 is a show about 48 Korean and 48 Japanese idols who are trying to debut as a Pop star in Japan and Korea. The final remaining contestants will form a Korean-Japanese pop group that will tour for 2 years. The first season of this show, called Producers 101, was a super mega hit, so this season is expected to be one as well, and if you look at the DC Inside page then I would say it is succeeding. It has hundreds of thousands of hits already and got 20,000 hits overnight last night, that is crazy. Each episode airs on Friday and is 2 hours long. We are not covering episode 0 or 1 because it is mostly just the introduction from Produce 101’s winners as well as half the trainees introduction and evaluations. We are picking this show up at episode 2 and will continue until the next drama comes out on Friday (My ID is Gangnam Beauty on jtbc), though it would be nice to continue with this show since it is only 12 episodes (I think). If you want to watch along then you can catch this on On Demand Korea, though their episode lists are an episode off because they count the 0 episode as episode 1. Here is the English translated teaser video. Check MNETS YouTube page for other released clips. This season’s Producer MC, Lee Seung-gi, walks into an empty conference room. He introduces himself as the new person, but then he starts talking about how the table looks, it is so big, so he thinks he needs someone else there, but he is all alone. Someone off camera (or hiding somewhere) asks him questions. How do you feel about being the representative this season? He says he feels good because a lot of people are into it. Boa also knew about it and cheered for him to succeed because she knows how difficult it can be (she was season 1’s representative). Lee Seung-gi looks at the video and starts to say the grades for each contestant. He thinks he has the same idea as SY and that many of them can debut so perhaps he should be the trainer and she can be the representative. Then Japan comes on, he wonders how they will do and does not look that impressed, but he doesn’t seem discouraged either. He says that there is a big difference between countries so he thinks this show will be deback because they will have to find the attractive points of the people. The Japanese girls enjoy what they do and have a lot of character. If they mix them well, then they will have a very unusual and unexpected girl group. The top two Japanese girl groups come out, but the producer stops the video. LSG wonders why they stop the video? Why? Why? Why? The person says she wants to know what grade they will get. He says he will give them the same score as the trainers. The next group comes on the stage. HG comments on how they are so young and everyone also comments on how young they all look as well. They also think that they look so cute because they are like their daughters’ age because they were all born in 2004 – 2005. Another group pops up, the youngest Japanese group. They are all in blue, red, and yellow and look oh so adorable. One of the girls thinks everyone looks cute so to be cuter you have to blink twice. During a casting interview, one of the trainees mentions that she is one of the youngest. She says that she can recite cities in 13 seconds, all 38 cities of Japan. She says all the cities, and it is 13.76 seconds. She says she is one of the youngest, but she wants to be one of the top so she will work hard. The three girls start to sing the song “Send a Kiss and Blow it.” They start to sing and dance. They are adorable and synchronize but not that polished and the vocals are off. The judges think one of them smiles a lot and looks rabbit-ish. HG thinks they are honest and starts to speak Japanese to them. He gives them 2 F’s and one D.
Now the Korean youngest team comes up again. There gaze is intense and adorable at the same time. Cheetah says this is the age that they can be brave and not fear anything. The girls start dancing and are so much better than the other group. They have a lot of attitude; it oozes from them. Their moves are a lot more powerful than most of the other groups too. The Japanese girls think these young girls only practiced for one year but can do this much? That is so great; they are so powerful. The judges give their decisions. All B’s and one C.
The next person comes in. She is so awkward and adorable. She tells them that she is an MNH trainee and is 15 years old (maybe 14 in the USA). She cares about her hair a lot. She says she usually doesn’t put on cosmetics, but her mother wanted her to put it on for swag. Gangi! She is in the same company as Chung-ha. She wants to be charismatic and pretty like Chung-ha. She starts dancing and looks pretty cute. Very unpolished, but she is giving all that she has, she is serving it. She finishes, and everyone claps. YJ says that she is good and dances like Jung-ha. But did you sing? They didn’t’ hear any song. HG thought she was stable, but when her dance moves got more significant, she couldn’t sing that much. They ask to hear her singing so they can evaluate her. She starts singing and is fantastic. She has an unexpectedly lovely voice. The judges They say that they need to recruit this baby and they give her an A. She did an excellent job and will grow up a lot. All the judges think that she was unexpectedly good with a clear voice. If she makes her voice stronger, then she can be like Soyou. In her interview afterward, she says that she wanted to get an A, but it is still surreal. She hopes that when people say MNH that they want to be like her. YJ says that she wants to see some A’s from Japan. So far, all the Japanese people are C-F. Even one of their top people is a D.
They were proud of their teams that worked in Japan, but they were sad that they aren’t doing well there. Soyou says that this sunbae coming out is more of a sunbae than her. What should she do? The next Japanese performer comes out. She is a super sunbae. She introduces herself and says that she will work hard even though she is nervous. All the other girls’ comments on how she is a big sunbae to them and smile as they see her. She is super famous 100 times for famous than anyone. She even won a popularity competition from the fans. It is also very unexpected that she would be in this group because she is so much more than trainee age. She is only like 22 though; she debuted in 2008 when she was 12. She has powerful movements though they aren’t difficult. She danced alone and was confident. Everyone waits for the decision. The final decision is B. All the Japanese performers are so happy that she got a B, successfully. They think she walks so confidently and has another aura then them. She is an excellent example for them. Interview – I wish, at my stage, I will convey the attractiveness of Japanese trainees. Everyone relaxes, and some of them think about the guy that danced Pick Me Up to cheer everyone up last year. Another song came on from Producer 101. A lot of girls run out because they know the dance and start dancing on the stage to the song. They all look choreographed even though no one has danced the song together. Then another song comes on, and everyone starts dancing to it. It is a Japanese Group song, but everyone knows it and dances to it. The trainers are all like, how do they (Korean girls) know that song? Everyone knows this song. This group is from Osaka. The person says that her strong point is her eyes. Her name is Miru and smiles a lot. She also mentions that Miru means Smile in Japanese. So she is always smiling. There are six people in this group who all like to play and have fun. They wish that they can give a lot of happy energy to everyone. On stage, their concept is retro, and the song is Funny People from 2017. They start to dance with a lot of charming and addicting movements. The song repeats “funny funny funny funny people” over and over again. It is a really catchy and adorable song. They also end in a cute pose. The judges say their grades. No A’s in this group though. CJ tells them that they had good energy and they will learn more difficult time in the future. The girls leave and tell the camera that everyone looks like they had a good time, so they met their goal. One of the members has a look alike. Lee Shi-ahn looks like Jung Cha-yun. And another member is Bae Un-young looks like a Taiwanese actress Gae Ryum-i. The other actresses also have look-alikes. But the last one says that she looks like a smiling dog. She pulls out a cute doggie photo and does the same pose and actually, she does look like that photo when she smiles. 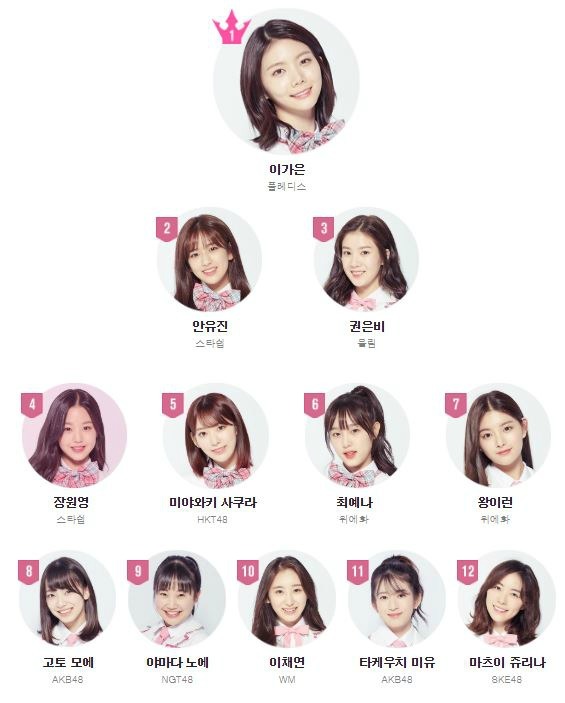 One of the girls is in Promise 9 and already debuted. She is actively working due to the other program she was on. She has been working for three months, so it is pretty shocking that she is in this competition again. She says that she is different from other trainees; she debuted without a training period so because of that, she is not as good as the other members. She thinks she is not as good as the others when they dance altogether and slows down everyone when they practice. For that reason, she tries three times harder than the others just to catch up with them. That is why she is there. 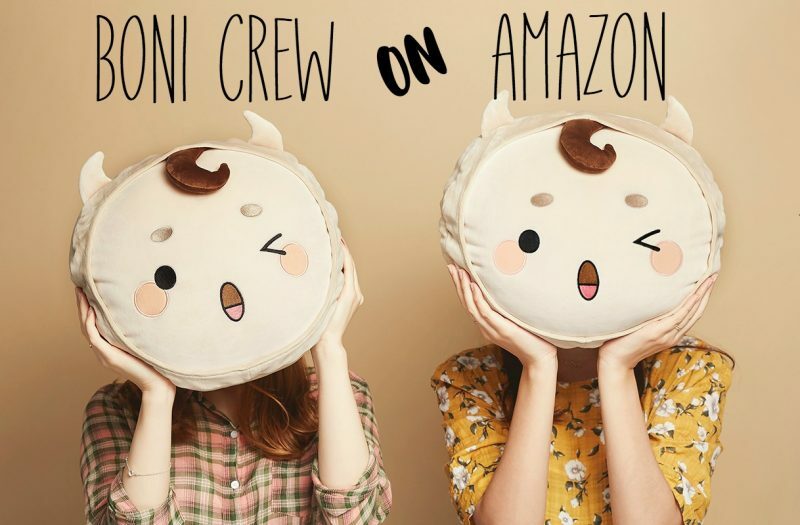 The four girls start singing Chewing Gum (2016). They are all in pastel skirts and white blouses. Their dance is good as well. They are synchronized and sing all the music. The judges think they are the best and the most stable of the groups. Even though they did not train, they are good. But one of them gets called out to sing. The girl motions for everyone to clap and starts to sing. Her song is pretty good all the judges are like, wow. The girl that just sang tried to be on Promise 9 but failed. So she worked hard and wants to debut this time. She gets an A! But there are no more A’s. B’s: The girl in pink gets a B, and the other two get C’s. Backstage. The girl that got a B says that she wants to get an A next time. We flash to a Japanese Groups camera that shows them practicing Korean from several days ago. Now the team is here and introduces themselves. SY thinks they have cute voices. HG says that she saw their profile, they are adorable and charming. One of them was in a musical, on TV, in commercials, and a lot of things. She says that doing those things is a lot of fun. She likes Korean idols, Red Velvet, IU, Black Pink, and BTU. I knew a lot of Korean idols. From that point, I thought that the best artists are top Korean Idols, I did not have any reason not to apply for it. This team tries to use a lot of Korean phrases, so the Judges comments that they thought they were Korean because some of their expressions are pretty good. The team starts to sing. Play With Fire (2016). The song sings about a boy that is like playing with fire. Their mother told them to be careful with boys; love is like fire, maybe their mother is correct because whenever I see you, my heart is burning. This team is pretty good. The judges talk it over. They think they were stable, but SY says that she doesn’t know how to grade Japanese people. Grades: One received a B, another got a C, and one got a D.
Her eyes are like burning fire. She says she prepared five dances and five songs. She has one specialty with is a monkey specialty. Her eyes are intense, so the caption always puts a fire blaze on them. Another person is from Blockberry and will do the same dance. The other girl does not want to be compared to her. This girl is one of the girls that the judges picked solely from the surprise open dancing time. This girl wants to be just like HyunA. She starts dancing a very provocative dance with a lot of attitude. The judges love it. They think she is an A without the singing part. The fire girl starts her dance now. Her dancing is provocative with a lot of attitude as well. The judges love it too. HG asks her if she has abs, the girl says she does when she does not eat (she is sooooo skinny). The judges think she had the best first impression. The first girl from Blackberry Creative got a C due to her singing. The second girl from A-Team got an A. Everyone thinks Sakura is very beautiful. She also already has recognition from her country as a top singer. She is one of the top pop stars in Japan, but she says that she is not sure if she is good or not even though she is ranked high in Japan. Her ability is not improving and time keeps passing so she hopes Produce 48 can change her life. But she thinks it is very shocking because Koreans go to Japan and are recognized but Japanese people coming to Korea are not recognized at all. It makes her angry so she wants to show 100% of herself and what Japanese performers can do. She signs Black Angel (2008). Poor thing is kind of stiff, but her passion shows. Judges – Not as good as expected….I liked it; she looked like a star…..well, she shouldn’t’ be “good as a Japanese”…..I gave her a B…..this is difficult…..uhhhh…. Wow, that is a big shock. Everyone is all like, huh? One of the girls says that she I not sure if she desires an A. But all the Japanese girls are super happy. YJ says that she understands why she was a #1 candidate in Japan. She says that everyone worked hard and it made her sad that all the Japanese people are getting F’s so she just wanted to show that they can also do a good job. She is happy that they heard that she was a candidate for #1. Another girl says that she didn’t only want her to try hard, she wants to try hard as well. The judges talk and say that she had a fire in her eyes and intense desire. They think Japanese contestants will go up super quickly. VO – I don’t want to lose to anyone, so I will work hard to go up. Their first song will be Ne-Ko-Ya “It’s Mine,” but in Japanese, Ne-ko means cat so they the Japanese trainees thought it was a cat song, lol. Everyone starts watching the video. The first verse is in Korean and the second verse is in Japanese. They will be a global girl group, so they all need to master Korean and Japanese. One of them is Chinese and thinks that she needs to memorize Korean and Japanese, it will be so challenging! HG tells them that A’s are the center group and it goes out from there. So A’s are in the center front, and F’s are in the back. F’s are not good enough to be on the stage. Everyone thinks that is shocking, but YJ tells them that they will be backups and will have no parts. But they don’t need to be discouraged because they will have a re-evaluation in 3 days. They will also pick the centers. The centers from the other seasons debuted, so if they become the center, then they can debut. Everyone wants to be the center. Another benefit of being center is that they will have their own personal camera. That blows everyone’s mind. They all want to work hard. They all get to relax as they go to their dorms. All the girls love the cameras and say hello to them. In their closets are their clothes with their grades on them. The A clothing is bling-bling pink. All the A’s think it is perfect, it is excellent to be A. The other girls who are not A’s love the bling-bling A clothing. They don’t want to wear their C-F clothing. 8. If you don’t keep these rules, then there will be no training for you. The girls are all caught up on the unnecessary touching. They are all like, how can you train without hugging? In one of the rooms, there is only one Korean person. She wants to ask them which bed they would like to use. But everything is lost in translation. One of them says that she can speak Korean, one of them knows it and can translate it. They start practicing the title song. YJ mentions that this will be difficult for Japanese trainee’s, but just trust them and they will be okay. They start to practice the movements. CYJ takes them through the choreography slowly. But a lot of Japanese girls think everything is so fast; it is difficult to memorize everything. But the Koreans memorize everything quickly. The Japanese girls are lost and can’t believe that this is the easiest part. Group C’s teacher will be YJ, the scariest judge. She is famous for tiger style training. She picks on them for the tiniest mistakes and basically stares at them all with disgust. Maybe it isn’t really disgust, but her face is blank all the time, so she is hard to read. YJ spots two of the girls and signals her out due to her powerful dance moves. She has them both dance in front of them all. One is Korean, and one is Japanese. The Japanese girl wants to show that Japan also has good dancers. After they dance, YJ tells them that they are a lot better than she expected. If they sing well, then they can make it to A. Group B’s coach is CYJ. He takes them through the group movements. But he is easily frustrated by them. He tells them they are doing it wrong and starts to do a powerful dance that makes them all laugh. He tells them not to bounce hard like a boy group; they should dance softly like girls. He dances like a girl with makes them all laugh again and loosen up a bit. One of the girls in the back makes a lot of mistakes. CYJ tells her that they only have three days, so if they can’t do it by that time, then he won’t be confident to put them on stage. The girl cries after the training session because she thinks dancing in Japan is so much easier than dancing in Korea. In her diary, she writes about how she had her first dance training session and could not keep up. She is not sure if she can stay in that group. Group A’s trainer is Soyou for vocal. She calls one of the girls up to sing who is one of the strongest ones. But Soyou thinks she is too flat and unstable. Soyou tells her that she is just reading a book like a Korean textbook. It is not singing; it is just reading. She had big expectations for her and pushed for her to be an A. Another girl sings, Soyou tells her that it was not fun and she is disappointed. Another one comes up and sings. She sounds great, but Soyou says her pronunciation was not correct. If you know that it is not correct, then you should not sing like that. The girl says she tried hard to correct it. She practices it a lot, But Soyou tells her that it all doesn’t matter, she needs to practice hard and show passion. Another girl sings, Soyou cuts her off and tells her that she can sing the Japanese version. The girl says she is comfortable saying the Korean version, especially because she will be learning from a Korean teacher. She starts singing but is cut off again. Soyou brings up another Japanese girl and has her sing it. This other girl does a great job. Soyou then tells the previous girl that she needs to keep making her voice go up and up and up. VO – I was sad because I couldn’t’ handle the high pitched voice. She tries one more time and does a better job. Soyou tells her that she can do it, why don’t you do it? VO – I thought I couldn’t do it at first, but I made that high pitched sound because of the teacher, so I was happy. Dance training with May J Lee (MJ). VO – She is a legend on Youtube…she is super cool…I am so excited. They start training, but there is a Japanese girl in the back who is too short and can’t see the teacher. VO – When I got my grade, I thought the way I am right now would not work, so I need to train very hard. MJ watches three of the girls dance. She tells Minju that she is too conscious of others. She needs to be more confident. MJ told her the same thing when she was on stage. She is good at dancing but is not confident. VO – I am not good enough at dancing and singing compared to others. I wanted to do a good job, but I can’t do it as I wanted to. She goes to the room and trains in her free time. VO – I think that whoever works hard will be successful. VO – We have Korea, Japan, US, and China in our class. We are already global. The orange team has the hardest time talking to each other due to the global nature of everyone. The Korean’s know what to do, but the Japanese team don’t know what is going on and are the last to watch a video. They couldn’t watch it and also couldn’t communicate that they wanted to watch it. So it made them insecure. Kim Hyun-ah comes and grabs the Japanese girl and teaches all the Japanese people. That made them so happy and made them feel bad more misunderstanding the Korean girls. The Korean girls said that they are happy that they can teach them. They are learning/communicating through telepathy. Choi Young-jun goes into the group to teach them. He has one of the girls come to the center and dance. This girl does it cleanly and is praised for her detail. Then four more girls hop up to dance, they aren’t as good. CYJ tells the girl that she should not put her finger in her mouth. Everyone keeps dancing and circulates as the center. CYJ thinks a lot of good dancers are in this group. But then he gets to another girl that just does not know what she is doing. She makes a whole bunch of mistakes and only seems to get worse as the song continues. CYJ wonders what he should say to her, so he tells her that it seems like she feels uncomfortable dancing to this song. Previously, CYJ asks why they gave this girl an A. The answer was because she danced perfectly from the open dance. CYJ tells her that it was a good strategy that she jumped into that open dance, but she will fall quickly if she doesn’t learn the dance. Vocal training time. Everyone sings something for HG. He speaks in Japanese and Korean to the girls. He tells them that Japanese people sing with their nose a lot. They need to practice to see where their sound comes out which is essential for the Japanese trainees to practice. He tells one of the girls to do a crunch and then say something. Does she notice anything different? It seems like this exercise stretched her abs differently so when she sings again, her problem is corrected somehow. I cannot hear the difference. But it must be a big difference because everyone claps. The girls are still in high spirits even though they are F’s, so they do a little dance and say that whoever can smile at the bottom of their career is a real professional. Bae Yoon-jeong comes in and says that everyone is mostly Japanese in F. They need to practice hard so they will survive. The girls think she is very scary. They all start dancing. Surprisingly, YJ tells them that they are better than Group C which makes them all happy. She tells them that they are good at listening and much better than she expected. She even smiles with Group F girls and tells them that she wants them to learn everything quickly. She yells for them to get to attention, but one of the girls struggles with the movements and looks terrified. VO – I practiced a lot, but I was sad because I couldn’t memorize it all. The girl who can’t memorize it all stops dancing all of a sudden. YJ makes them all stop and calls her out about it. She tells her to dance by herself. She does and stands there as she waits for her judgment. The poor thing is so scared; YJ tells her that she needs to focus, it seems like she doesn’t want to do it. The girl tears up, but YJ keeps telling her that she did not come all the way to Korea to be F. She will not be on the stage as an F. This hits home with all the girls, so we go through a montage of them all crying in front of the camera during their interview. YJ tells them that she does not want them to stay in F, let’s take all the other guys down, and we can go up, fighting! VO – F is the lowest, we are not good compared to others. Everyone has a hard time, so we support each other. We are a lot closer after only 2 or 3 days. The Korean’s in F talked to me while I cried, if I were alone then I would be depressed. But I am strong because people are supporting me. I don’t want to give up here. I don’t give up because we are F. We are the lowest, so we have to work the hardest. It is difficult, but I want to go up. I don’t want to give up. If I give up and don’t work hard, then I didn’t even have to come here. The girls practiced all night in the dorms. One of them mentions that she is a little scared and starts tearing up when the cameraman asks her if it is difficult. Sh says it is not difficult, the less than one year trainees are better than me, I am a seven year Idol, but my body is not following me, so I still think I am bad. I have to memorize the lyrics and dance at the same time, what did I do for the last seven years? I was angry at myself. Two other girls from different countries support each other. They can’t communicate, but they want to be friends, so they try to find a way because they have a connection. All the girls want to be an A so they can show their parents and debut in an A class. They all work hard and tell themselves that they should not fail. The girls go to the camera to dance and record themselves, but the camera is intimidating to a lot of them. One of them even falls mysteriously as if an invisible person tripped her from the future; it is so strange. They all have a hard time as if the camera gives them a mental block where they can’t remember anything. Finally one of them is able to go through the entire song successfully. Another girl from Group C starts, everyone thinks this girl will go up a class. Another issue everyone has trouble with is the high pitched part of the song. But singing is the easiest way they can go up a level, so they need to do well in that part. They are al failing with it though. VO – I envy one thing about Japanese trainees, they have good facial expressions and energy. The girl who had all the problems in Group F goes up. She starts out well, but she fails horribly somewhere in the middle, and it just gets worse from there. The other Group F girls don’t do much better. VO – (do you think you can go up a level?) I don’t think it will happen. I practiced hard, why am I doing this? If I gave up at the beginning, then I wouldn’t feel so bad, but I practiced so hard. The title of F owns them, they all do horribly. (I want to scream support to them through the scream, YOU CAN DO IT). Group A is under a lot of stress to keep their center group position. Compared to the other groups, they do well but not amazing. They all do horribly in the foreign language because they all have to sing in Korean and Japanese. But one of them memorized the Korean and Japanese version. I think this is one of the only Japanese Idol that got an A. The girls each get to call someone that they want to call the most. They all call their Umma and cry as they talk to her. Aww, they are all Mama’s girls. The Umma’s are all concerned Umma’s and wonder if anything happened. Ah, someone called her appa! He tells her that she can do it. Then they show us the funny conversations. One girl tells her mom that she wants to eat everything. The Umma’s tell her kid that she knows she isn’t good enough to join the top ones yet. Don’t’ eat a lot like a pig. The girl laughs and is all like, Mom…this is on speaker phone. Now it is time for the judges to meet up. So they all come together and sit at a conference table to go through all the videos and grade all the trainees. SY thinks that maybe some trainees from Group A can go to group C or group D because some of the A trainees aren’t that good. They also believe the Japanese trainees might be better at this video evaluation since they are used to video. They go through all the videos of the A Group first. One of the girls couldn’t take the class because she was sick, but even so, she knew everything well and practiced on her own. The judges want more girls like that. But then they get to a girl that is so bad. HG apologizes because he is the president of her agency. A lot of the A’s do a horrible job. More trainees videos pop up. One of the Group F girls has a pollen allergy so she couldn’t sing earlier, so she went to F, but in practice, she sings well. She doesn’t do that well, but she is cool because she does not stop. Surprisingly, the judges think the Japanese girls are very good during the video part. The Korean girls should be worried about them. The challenge is that they need to speak both languages. There are a lot of hidden gems in the lower Groups that surprise them. But overall, they are upset at the performances. The Japanese girls memorized a lot of Korean songs, but the Korean girls didn’t memorize the Japanese even though they gave them each the words and the same amount of time to learn them. They hope the Korean girls can learn this work ethic from the Korean ones. One of the Group B girls works so hard and is confident, so the judges can’t hate her even though she makes up all her movements. They say her heart is an A. The five judges go into each of the groups’ rooms separately to give them the evaluation. They saw their videos and will give them their grades. They do not say the A group. They have all the girls walk up and get their grade which is presented to them in a holiday card format, so they have to open it and see their grade. All the girls are called to the front to get their cards. It looks stressful for each girl to receive each card. The shocking thing is, someone in A went to the F group which is the first time in the history of the show that this happened. So who are the two that moved From F to A and A to F? We have to wait until next week to find out. Below, are the Top Twelve for this week. Lee Seung-gi show ups and blows all their minds.